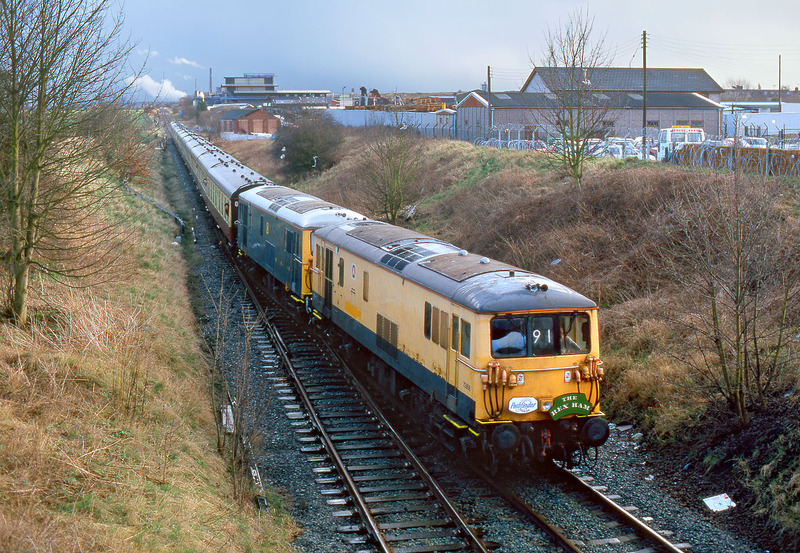 73906 & 73005 were definitely the highlight of the Pathfinder Tours 'Rex Ham' Railtour on 28 February 1998. A pair of MerseyRail 73s working on diesel power easily eclipsed the other traction on the day, even though that included Classes 31, 37, 47, 58 & 60! They are pictured here coming off the single track section of the Sandbach to Northwich line at Middlewich. At this point the tour was running as the 1Z63 14:48 Chester to Reading.